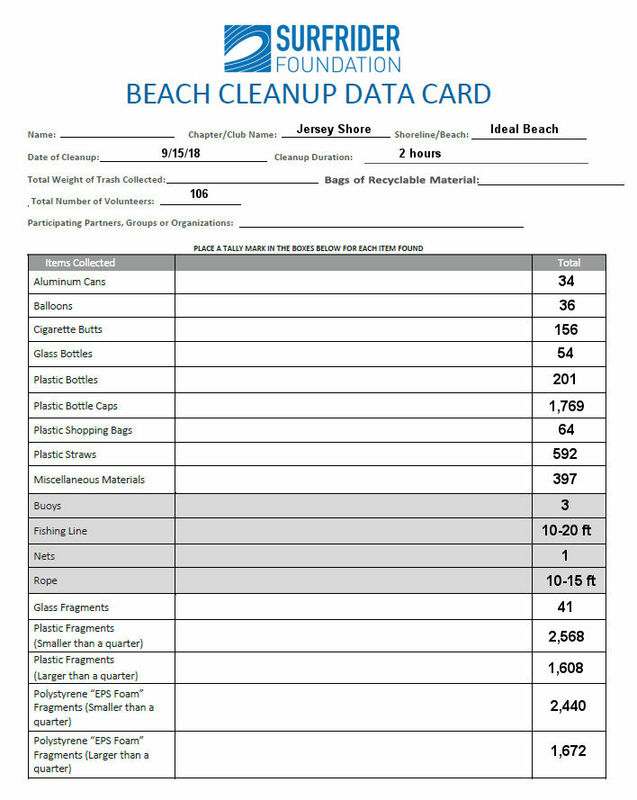 Over 100 Volunteers Clean 1,240 lbs of Trash on Ideal Beach! Surfrider Foundation: Jersey Shore Chapter would like to thank everyone who came out to Ideal Beach in Keansburg on International Cleanup Day! We had a great time, with over 100 volunteers, and removed approximately 1,240 pounds of trash! Also, check out our Sea Hear Now festival tickets winner from the clean-up on Saturday, September 15. Griffin came with a group of students from the Montclair Kimberley Academy in Montclair, New Jersey! Thank you to ALL of our volunteers, the town of Keansburg, New Jerseyand to Portside Bar & Liquors for your delicious food! Stay tuned for our next clean-up date – we hope to see you there!